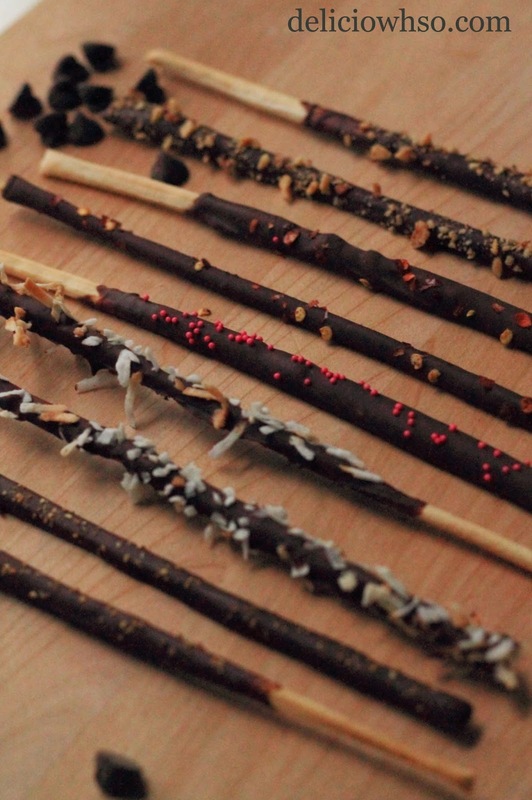 11/11 is a Korean "holiday" called Pepero (빼빼로) Day! This is because the numbers look like Pepero sticks (kind of). The day is similar to Valentines Day. 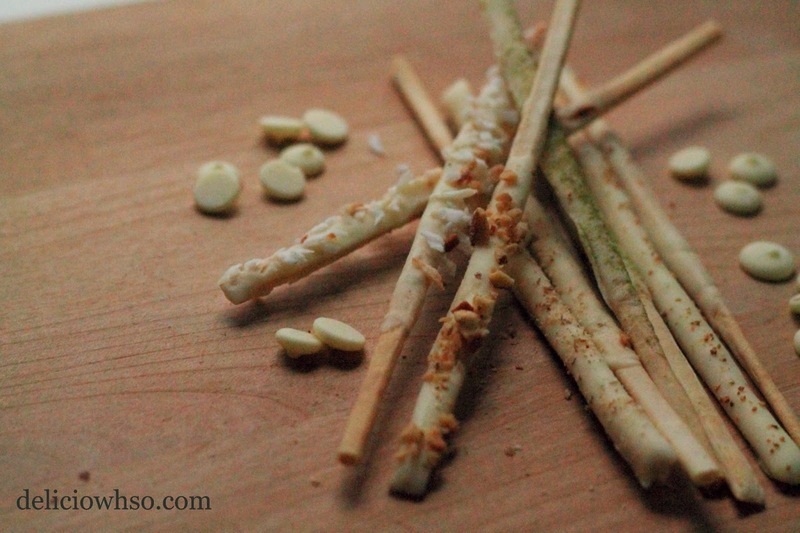 People give Pepero to their friends and loved ones. Here's pictures of the ones I made with my friend, Nate! 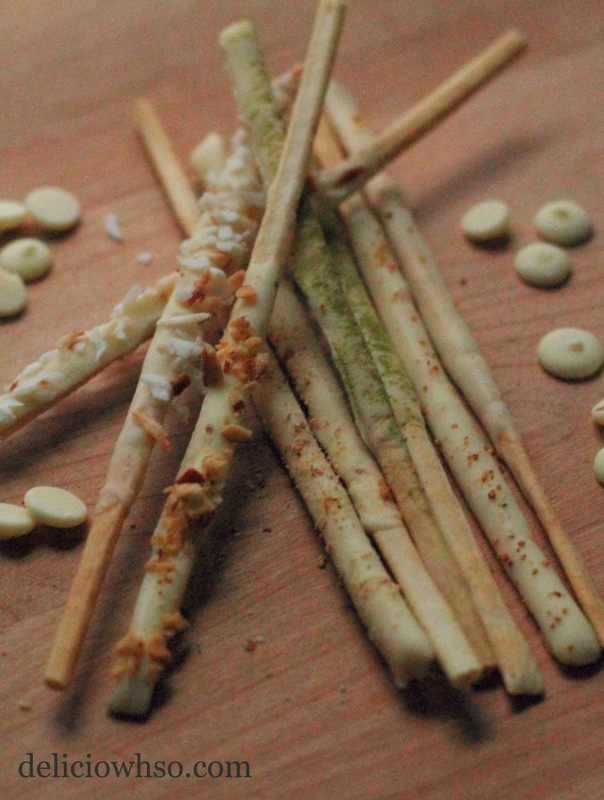 We used Italian breadsticks/crackers and coated them in melted chocolate. We put a variety of toppings for lots of yummy flavors! Try them for yourself! Thanks for reading! 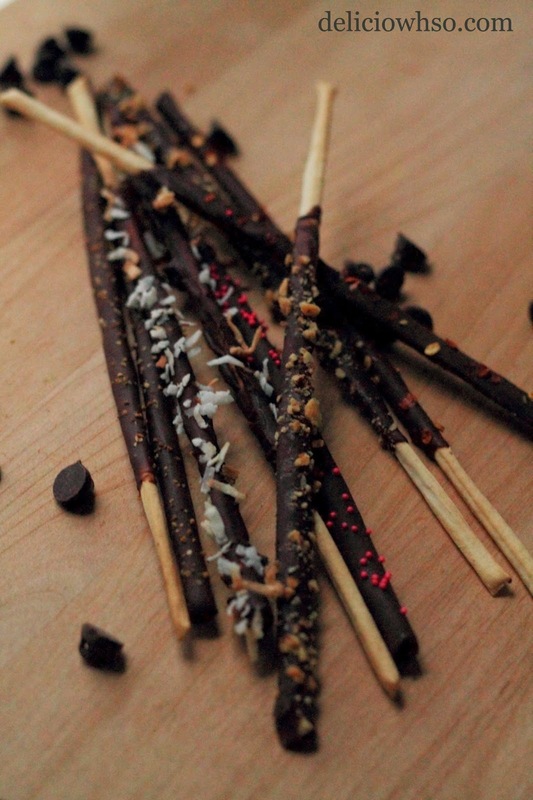 Have a wonderful Pepero Day!